This time I first wrap up the tripod with some red net fabric we saved from a gift hamper. 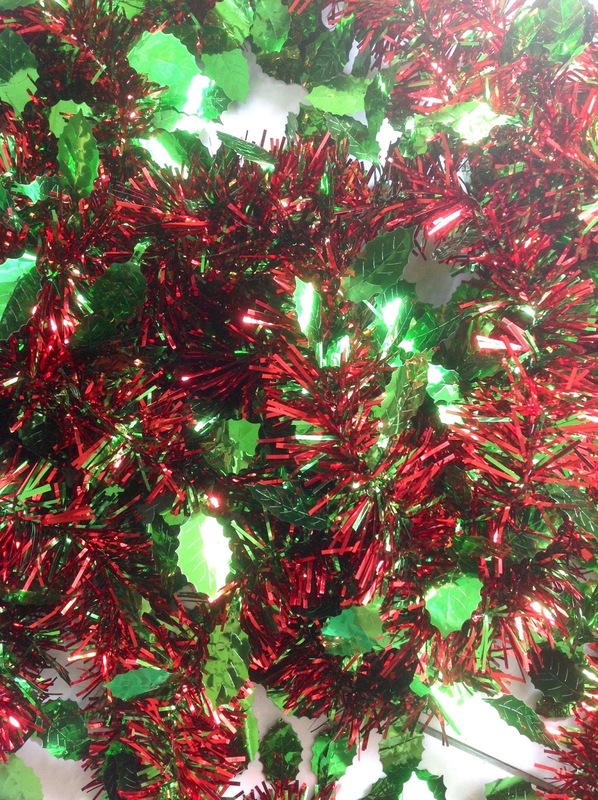 This way the tinsel holds better in place when twirled around the frame. And the angel lights are placed first so that the wire is not visible over the tree. 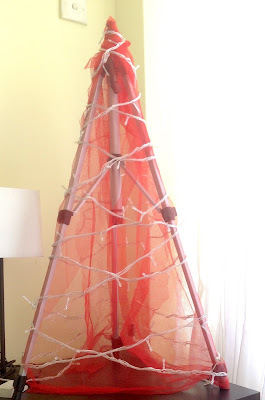 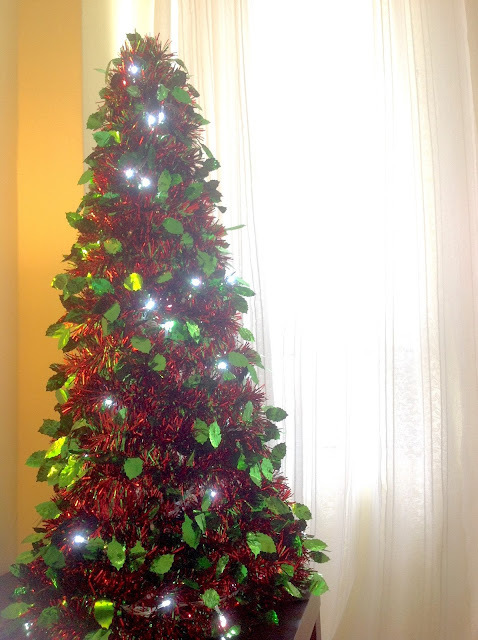 Start the long tinsel on the top with a knot then twirl it around the tripod until it's all covered up. 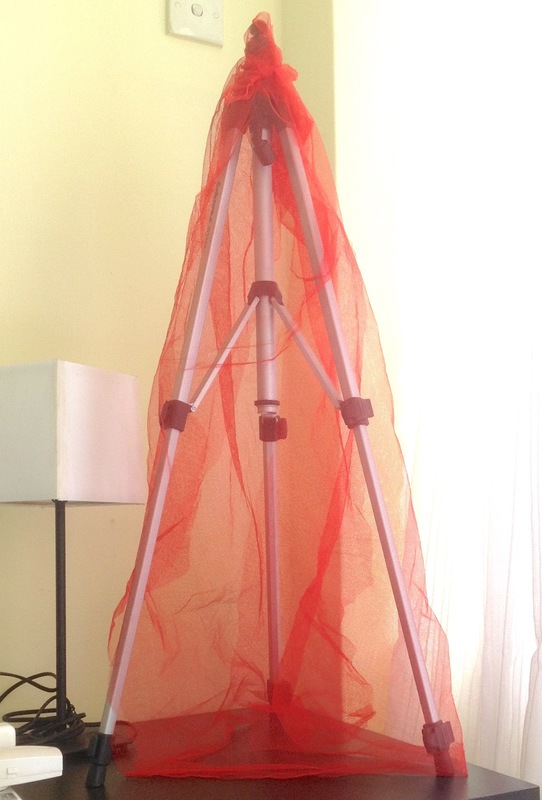 Tie the end to one of the tripod legs to secure it.